Holiday Pomegranate Lotion is rich but not greasy. You will love the way this goes on. 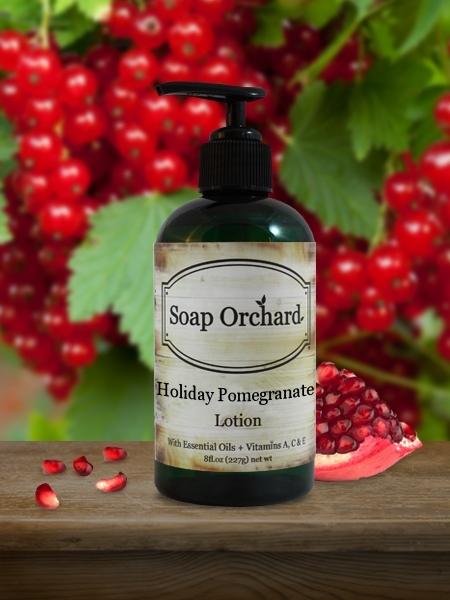 It has a wonderful blend of Pomegranate, Citrus, Dewberry, Blackberry, Iris, Jasmine.